The Waddesdon Archive brings together records and material relating to the history of Waddesdon Manor, the Waddesdon Estate and the members of the Rothschild family who have owned and managed Waddesdon from 1874 until the present day. The archives contain information about a wide range of subjects from art and horticulture to social and agricultural history, from wine to estate management, from the history and politics of Israel to the history of the art market. The collections are in the process of being catalogued and finding aids are being made available online as they are completed. There are some significant gaps in the records that have survived, particularly for the earlier years of the Rothschild family’s time at Waddesdon. The collections are available for researchers to use by appointment. Our opening hours are Monday-Friday 10am to 5pm. If you wish to consult the records or have an enquiry please contact the archive team on [email protected] or 01296 653413. We require all researchers to complete a researcher agreement. We allow digital photography for research purposes on the completion of copyright declaration. The archives are housed at Windmill Hill on the Waddesdon Estate not at Waddesdon Manor. Before you visit download a map of our location. Members of the Rothschild family have owned, lived at and managed Waddesdon since the purchase of the estate in 1874. We hold very few records relating to the management of Waddesdon Manor as a house. There are no housekeepers’ or butlers’ records, very few household accounts or staffing records. Much more complete is the period relating to the administration of Waddesdon Manor since it was given to the National Trust in 1957 and opened to the public in 1959. These include records relating to visitors, events, the interpretation of the collection, the restoration of the building, and the development of a catering and retail operation. 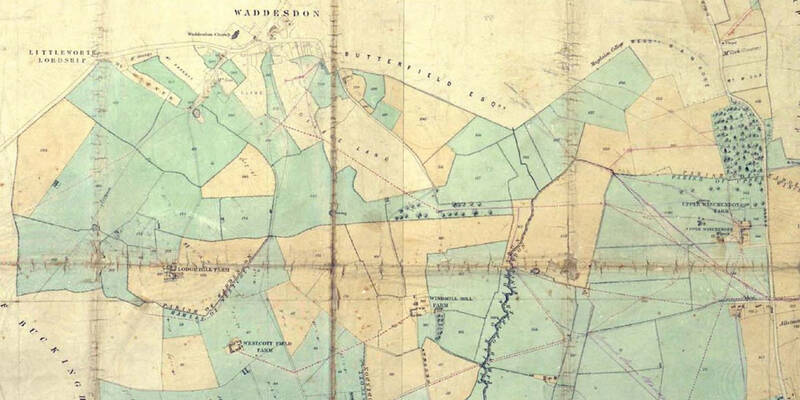 We hold a series of records relating to the management and development of the Waddesdon Estate including title deeds and land acquisition records, accounts, memos and correspondence, records relating to farming, woodland management, environmental management, property and tenancy management, staffing records, gardens accounts, and building project files. There are some records relating to the estate in the late nineteenth century but the majority date from the period after 1922. Associated with these records are documents of the architecture firm of Inskip & Jenkins relating to the major Centenary Restoration project (1990-1995) at Waddesdon as well as other projects for Lord Rothschild at Waddesdon and in London. The Waddesdon Estate Office collection is catalogued although it has not been fully indexed and can be searched on the website. 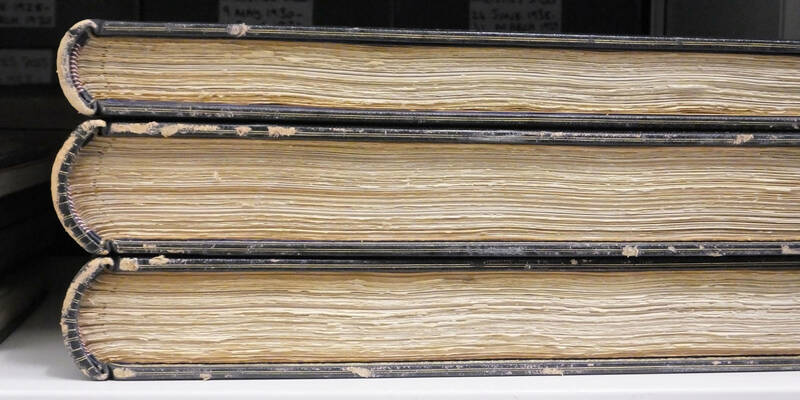 The Waddesdon Manor administration records are not yet catalogued, for access please contact the archive team. The Waddesdon Archives only hold records relating to those members of the Rothschild family who have owned or managed Waddesdon. Both Baron Ferdinand (1839-1898) and Miss Alice (1847-1922) are thought to have left instructions that their personal papers be destroyed and there is little material relating to them. For Baron Ferdinand de Rothschild we hold some brief accounts, a collection of his writings, a small amount of correspondence and some records relating to the collections at Waddesdon, including the inventories taken on his death. For Miss Alice de Rothschild the most significant holdings are the letters written to her Head Gardener, George Frederick Johnson, then a small amount of other correspondence, her sketchbooks and music books, a limited selection of receipts relating to objects bought in the early twentieth century and the inventories of her collections at the time of her death. For James (1878-1957) and Dorothy (1895-1988) de Rothschild more has survived. The core of the collection is a series of approximately 20,000 letters received by them during the course of their marriage and of Dorothy’s widowhood. These include letters from correspondents such as Winston and Clementine Churchill, Chaim Weizmann, the Princess Royal, and numerous organisations including the Women’s’ Voluntary Service, the Jewish Blind Society and the Jockey Club. There are also records relating to James’ career as a Member of Parliament, his interest in horse-racing, Zionism and Dorothy’s philanthropic work both at home and in Israel. There are also a series of menu books and a few other records relating to the running of their households in London and at Waddesdon. A significant quantity of records relate to the management of probate after James’ death and the bequest of Waddesdon Manor to the National Trust. These collections are in the course of being catalogued and will be searchable online as they are completed. The Rothschild family has a long association with Israel. In the 1880s Baron Edmond de Rothschild (1845-1934) funded Jewish settlements in Palestine and encouraged the development of agriculture and industry. 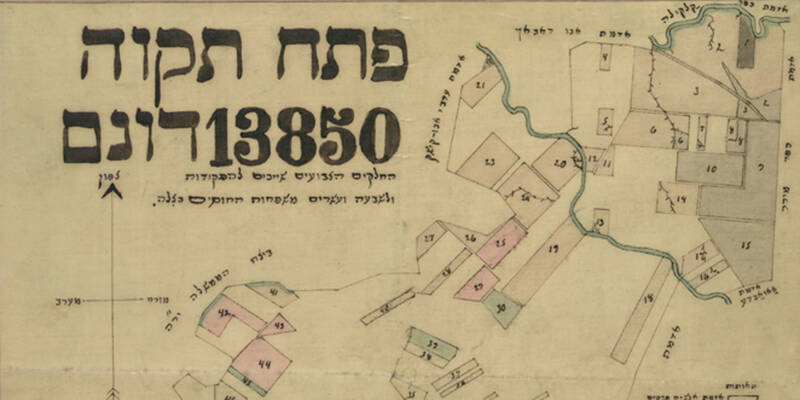 In 1899 the Rothschild settlements were transferred to form the Palestine branch of the Jewish Colonisation Association. In 1924 Baron Edmond de Rothschild created a separate Association to manage these settlements – the Palestine Jewish Colonisation Association (PICA) – under the direction of his son, James de Rothschild (who inherited Waddesdon from Alice in 1922). As well as offices in Palestine, PICA had offices in Paris and the administrative records created by this office are now housed at Waddesdon where they were transferred by James after the Second World War. They contain correspondence, financial records, censuses, photographs and publications relating to the management of the settlements, land ownership, individual settlers, and the politics of Jewish settlement in Palestine, as well as industry, vineyards, and agriculture. This collection is catalogued although it has not been fully indexed can be searched on the website. 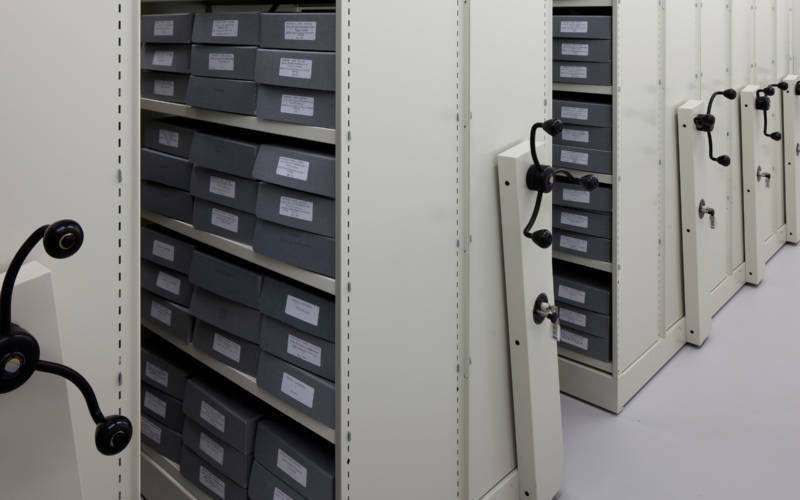 Records from the PICA offices in Haifa, Tel Aviv and Jerusalem are held by the Central Zionist Archive in Jerusalem. 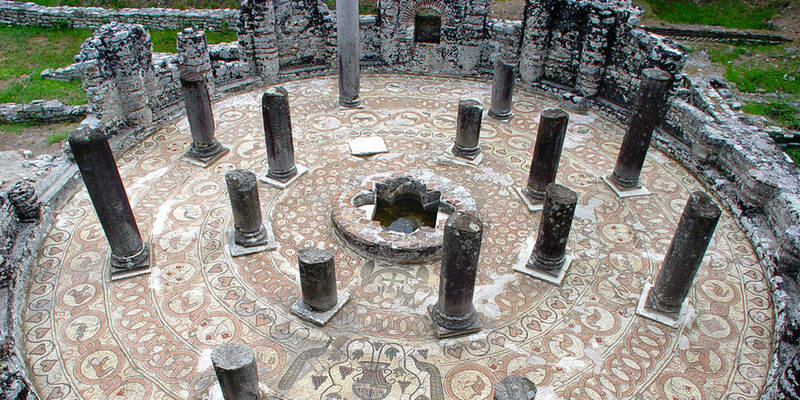 The Butrint Foundation was founded in 1993 by Lord Rothschild and Lord Sainsbury of Preston Candover with the aim of preserving, conserving and developing the Butrint site in Albania. The Foundation oversaw archaeological excavations at Butrint between 1997 and 2004 the main findings relate to a substantial Roman settlement but there are also buildings from late-antiquity that have been discovered. The records held at Waddesdon consist of the archaeological archive recording finds and work undertaken as well as governance records and significant publications published by the Foundation. This collection is not yet catalogued. For access or further information please contact the archive team. Waddesdon houses the business records of P&D Colnaghi Ltd, a London art dealer based in St James’ dealing in paintings, prints and drawings. The records we hold consist of stock books, correspondence, exhibition catalogues, financial records and catalogues published by Colnaghi and others. 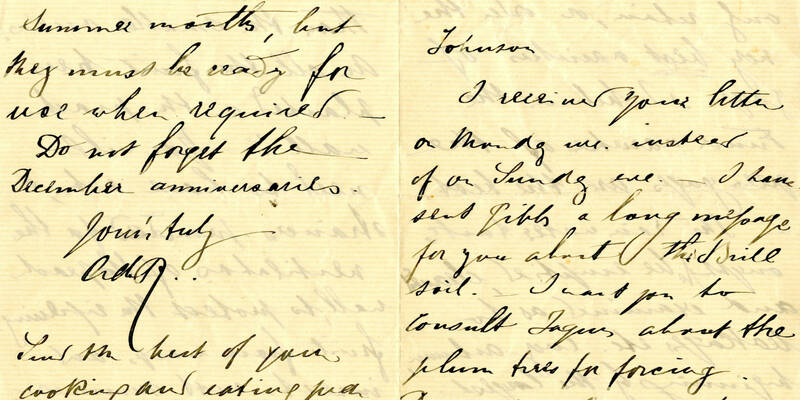 Although the business dates to the 18th century, there are significant gaps in the archive. The main series of correspondence and financial records do not start until 1894 and the stock records start in 1911. This collection is catalogued although it has not been fully indexed and can be searched on the website. or phone 01296 653413 to make an appointment.